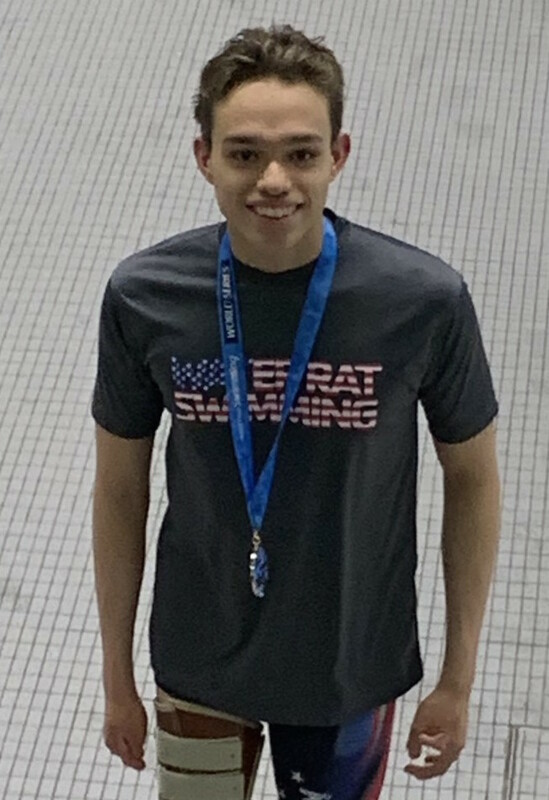 Matthew Torres had a wonderful swim meet this weekend in Indianapolis at the Paraswimming World Series Championship. He dropped times in six of the seven events he swam. He got the Bronze Medal in 400 free, he placed 6th in 200IM, 7th in 100 free and 8th in 100 back. Amazingly, in the 400 free, Matthew reached the Team National B standard time and made the qualifying cut for the Paralympic Games next year. Way to go Matthew. Congratulations to Matthew and to Coach Ellen for such a wonderful accomplishment.